I’ve been thinking a lot about PMA (Positive Mental Attitude) over the last few weeks. Before getting sick I wasn’t a very positive person but I think my illness and running marathons has really changed my outlook on life. I didn’t realise how much this was true until just before my latest cruise. Holidays are meant to be easy right? Me and James ended up going on a Transatlantic Cruise on Navigator of the Seas after family issues forced us to cancel the cruises we had booked. Royal Caribbean customer services was amazing through the whole thing. We would have only lost £300 of the cost of the cruises in the end (T&Cs would have allowed the company to keep up to have the cruise costs) and they even allowed us to transfer the £300 to another cruise so we would lose anything. This is how we ended up on Navigator, which turned out to be my favourite cruise so far but I almost didn’t get on the ship. Three days before the cruise the company announced an itinerary change. We would no longer be going to Boston and New York. I was gutted. No Book of Mormon, ice skating in Central park, running to the New York and Boston marathon finish lines. We were offered a full refund if we decided not to go but after 10 minutes or so getting over the disappointment we figured we might as well still go. There was nothing we could do to change it so we might as well just go with the flow and enjoy whatever turns up on the adventure. Situations are whatever you make of them. Obviously not everyone shares my now sunny disposition and so there was a lot of angry people in the cruise Facebook group. The wonderful admin of the group decided to cancel and so stupid me didn’t want her to have to deal with of the angry people of a cruise she was no longer going on and so I offered to be admin. I won’t go into details but at one point I was considering getting on the ship just so I could jump off it. It’s funny looking back at it now but it wasn’t at the time. A few years ago I would have been one of the angry folk (well maybe not quite as angry as some I hope) but I learnt quite early on in marathon running that the difference between a good race and a bad race is nothing but your attitude. It’s true of all races really but marathons and ultras give you a lot more time to get a bad attitude. Running, I think, is like 70% brain and 30% body. I could go out and do a marathon any day of the week without training as long as I have the right mental state (and don’t care about my time obviously) because if I want to do it then my brain will knock down the barriers rather than creating new ones which come with a bad attitude. I tried to do four marathon in four days last month. I had a really bad cold and on day 2 I just couldn’t do it. I was feeling sorry for myself and defeatist and so after just under two hours and 7 miles I called it quits. I might have managed to finish a marathon that day but I would have had such a lousy attitude that it would have made the next two days seem impossible. I was hating running that much. The next day I came back with a great attitude (and a Vicks stick), loved every step and got a really good time as a bonus. My body wasn’t any fitter and I still had the cold but I’d got rid of my negative attitude. You’re at the ship’s buffet, waiting in line for your morning sausage (James would say giggity but it ain’t that kind of story). There are eight people in the line before you and nine sausages so all is right with the world. The line gets shorter and shorter as everyone takes their sausage, 6 people, then 5, then 4. Before you know it there’s just you and the guy in front. Two sausages left. Then suddenly, out of nowhere a third person appears and takes the last two sausages, leaving you and your queue mate sausage less. Oh no, a culinary horror story. Now you could wail against the injustice, curse the world and get very very angry at those rude rude people (the story is calling them rude not me, I try not to judge) who don’t know how to stand in a line. You could let that experience cloud and help ruin your day, week, month, year. Meanwhile the two sausage guy is pretty happy munching his food, oblivious to the suffering he/she has caused in their wake. It’s not going to ruin their day but you’ve allowed them to take your mental sausage along with the physical one. If you go look around the buffet there’s probably more sausages anyway so why let something that is beyond your control have such a negative impact on you. Why let someone take your sausage and control of your feelings? It’s the same with me really. I could sit in my chair hating the world and feeling sorry for myself (and sometimes I do) and i could get angry and bitter at RC for not taking me to New York or I could just focus that energy on planning my next race or deciding what shoes I should wear when I can walk again. There’s always something good somewhere in every situation waiting to sparkle if you just allow it, even if it’s just being grateful for what you have instead of dwelling on what you have not. Some people don’t even have an all you can eat buffet from which sausages can be stolen. 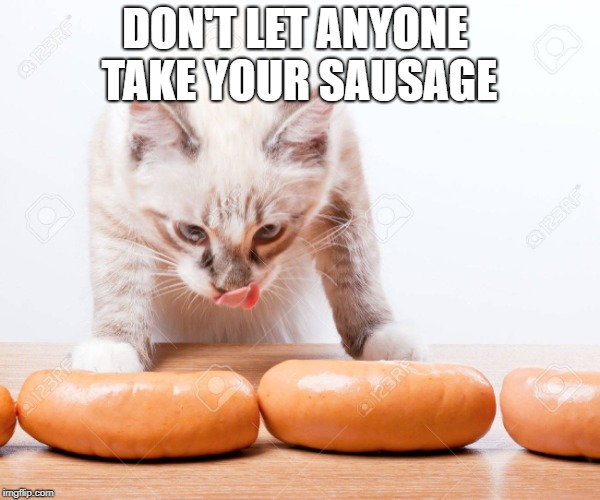 I think we’re done with sausages and sausage metaphors but the point is don’t give other people or the situations around you the power to dictate your feelings. If you want to watch a version of the story from 2017 you can find it on youtube here. One of my lovely table mates managed to get me the reading list from Cuddy’s session on the ship. 52 marathons in 52 weeks is a lot of potential audio book listening time so I think I’m going to try and broaden my mind a bit over next year’s challenge. You may get book reviews along with the race reports.